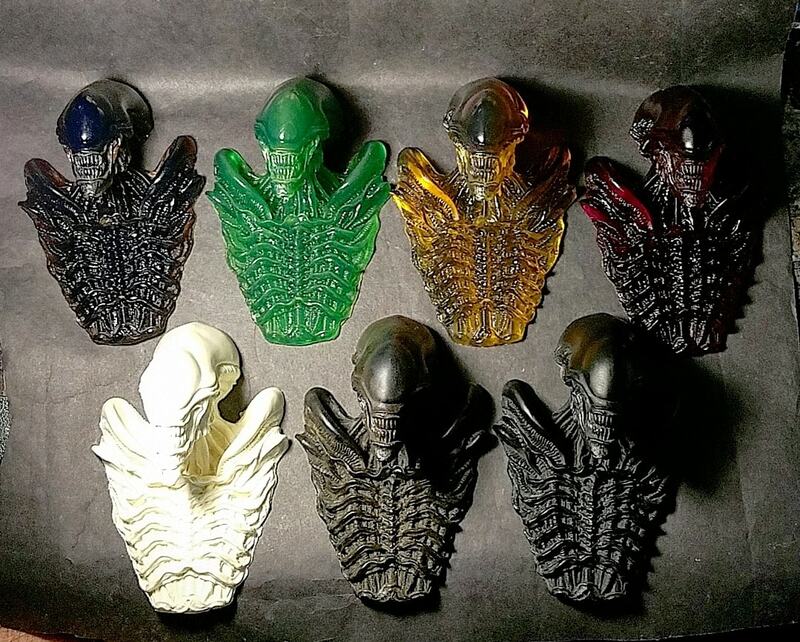 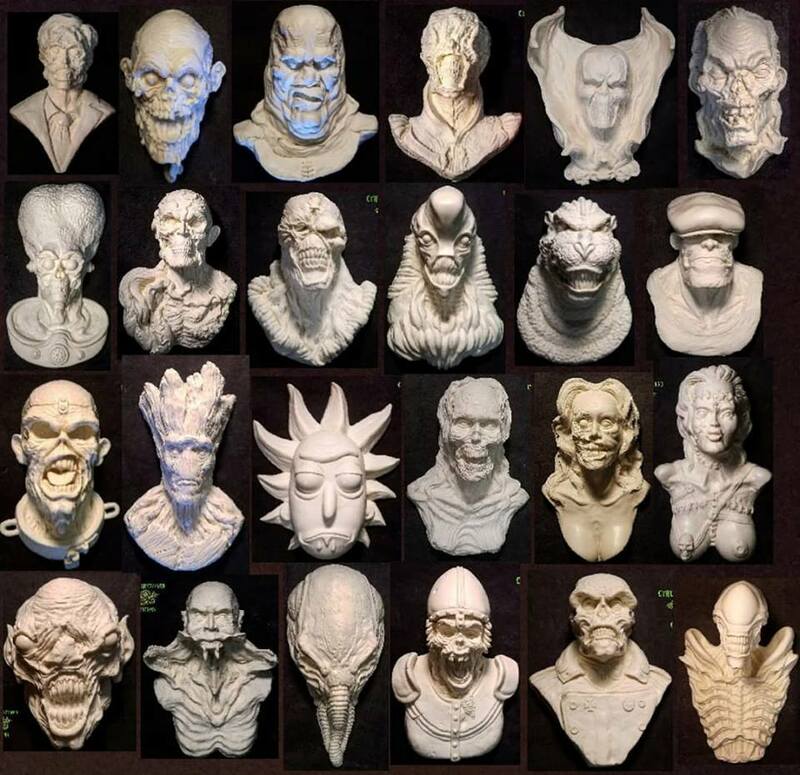 Mike Swisstack of Cthulhugizzard Customs recently made available twenty four of his thirty one HEADS OF HALLOWEEN SCULPT RELIEFS from this year’s Halloween challenge. 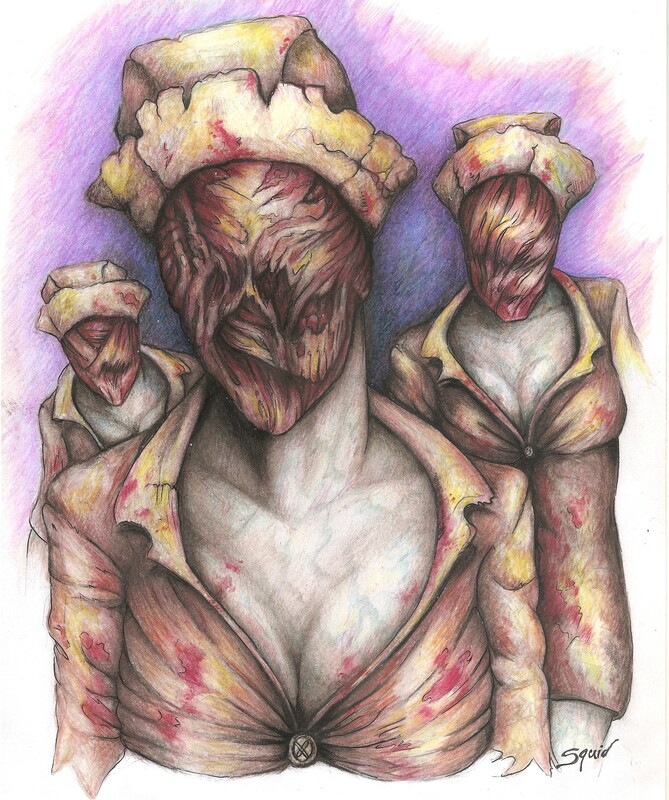 We spotlight the horror art of Jenn Swisstack from SQUID INK DESIGNS! 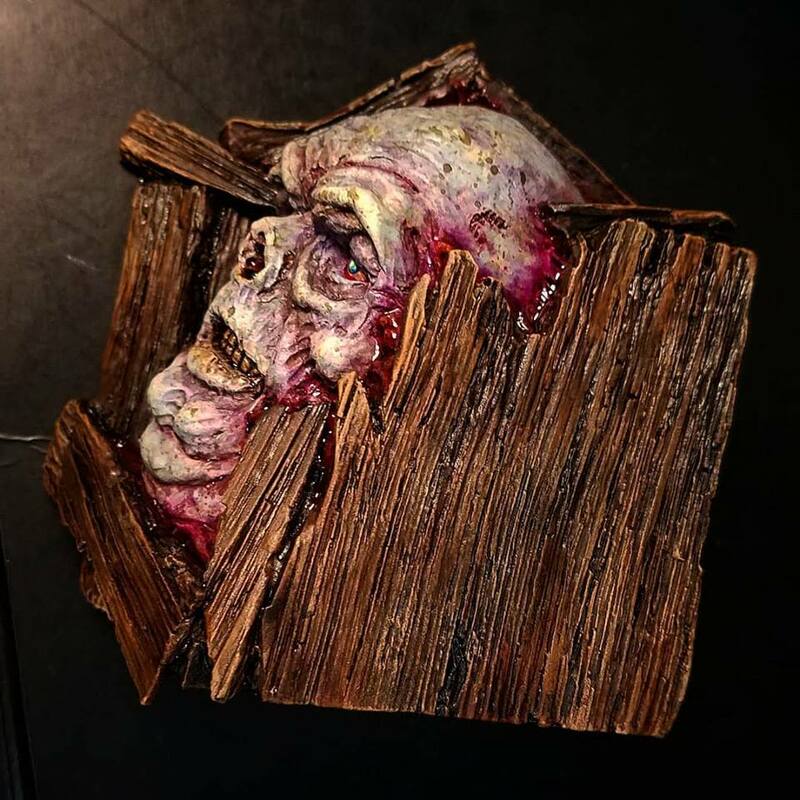 We peer inside the box for a look at Mike Swisstack's ZOMBIEHEAD IN A BOX sculpture! 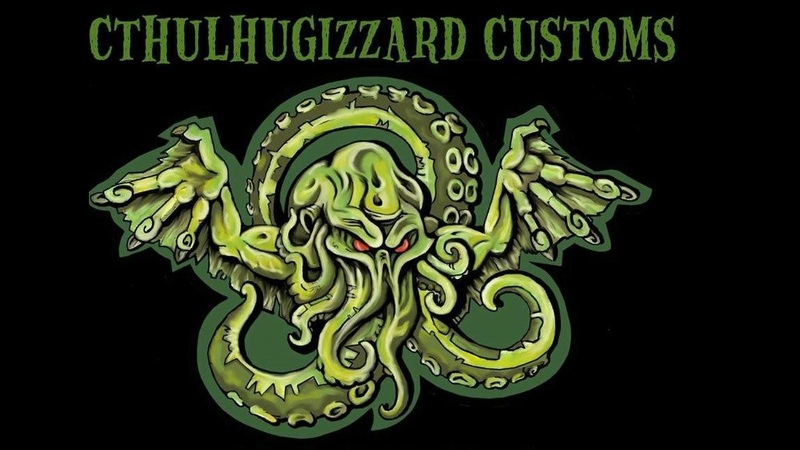 Cthulhugizzard Customs has a December Holidays sale on right now at their Etsy Store, featuring 15% off all available items!